It's tough trying to figure out exactly what you need in a website if you're not familiar with all the new technologies. Is your website responsive? Should you be using WordPress? What the heck is jQuery? Fear not, for these three modern WordPress templates from DesignWall not only have all the bells and whistles that up to date websites should, but they look and function as smooth as butter too. First off, know that in order to use these themes, you have to have a self-hosted copy of WordPress. If you have a blog hosted directly on WordPress.com, they won't work. But if you're serious about having a respectable website, it's time to move up to a self-hosted installation. You can even learn the best way to get started here: How to Install Wordpress Manually Using cPanel in Under 5 Minutes. Each of these themes comes with everything you need to get them installed and start editing content ASAP. If you're a WordPress pro, you'll find a ZIP file with just the theme files included to quickly get going. If you're starting a website from scratch, each theme also includes a quick start ZIP file that has what you need to populate your website with demo content so you can see exactly what needs to be edited to get your content to appear where you want it to. Of course, you'll find basic instructions for installing everything included as well. Looking for something inspiring, something new for your magazine website? DW Argo is here to answer your call. Trendy design, simple and clean layout, and fully responsive. DW Argo is a compelling WordPress theme that will make your news and magazine website stand out. This theme features outstanding functions like a sticky header, off-canvas navigation for mobile devices and tablets, keyboard navigation, and a shop page utilizing Easy Digital Downloads. Read the preview and feature updated blog post for more details about these features. 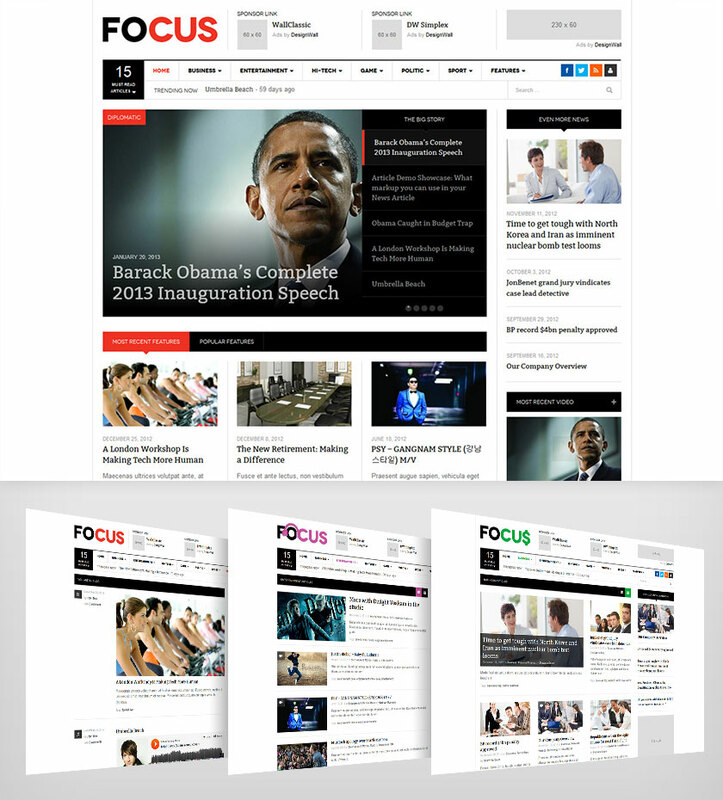 This theme is arguably the most wanted responsive news and magazine WordPress theme of all time. This theme was listed on 20 Stunning Responsive WordPress Themes at Mashable. If you're not already familiar, Mashable is a world leader on everything tech, so you best listen to what they have to say. With just a glimpse, you can see that DW Focus is the perfect fit for any modern news site. In addition to the neat and clean design, DW Focus is well equipped with many features like HTML5, grid based design, LESS and bootstrap, news slider, quick tabs, and more. Display categories as a grid or a list. 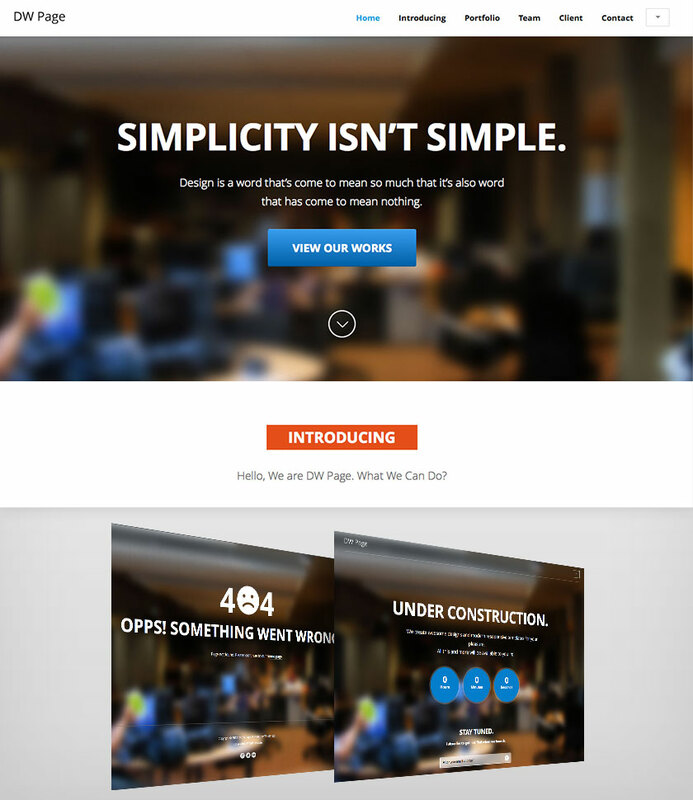 Looking for a light and simple yet modern theme for your website? DW Page is THE choice. DW Page keeps all your content in a single page using sliders, infinite scrolling, popups, and other content presentation methods. 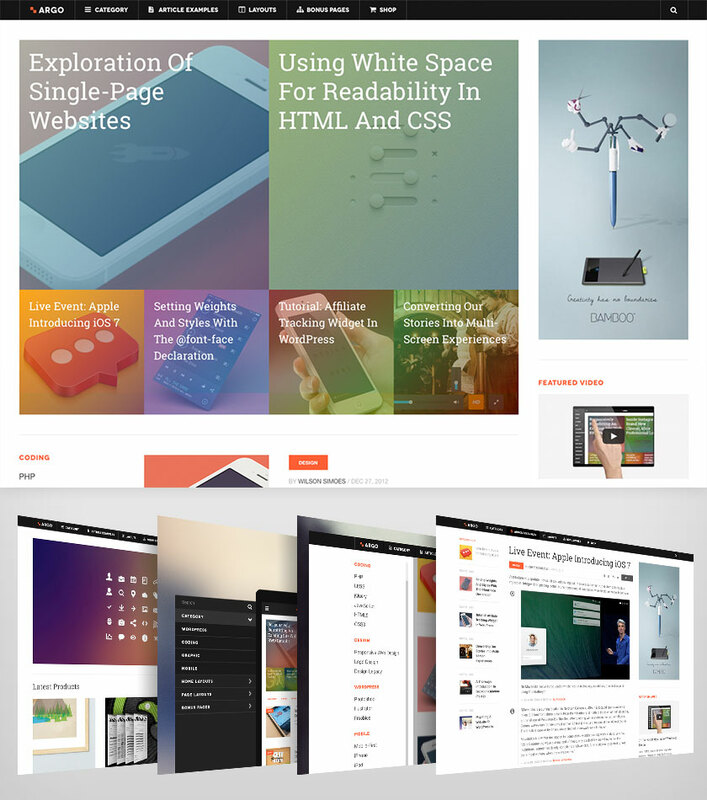 This theme is fully responsive and of course, easy to install. This is like 6 themes in one since it includes 5 additional child themes: DW Page Christmas, DW Page Metro, DW Page Modern, DW Page Retro, and DW Page Solid. You'll also get multiple landing pages to better fit your audience. If you're a regular WordPress user, you know that what you're getting is an absolutely amazing deal. If you're just now creating your first website, listen to the pros. These themes are top notch, and have everything you need to put together a professional website quickly and easily. Normally, all 3 of these WordPress themes would cost you $127, but for a limited time you can grab them all for only $30. That's a huge 76% off. It's very rare to find such a big discount on WordPress themes, so make sure you grab them now, no matter if you're planning on building a website in 1 minute or 1 year.